Jordan Brand has another treat for us after releasing the new Jordan City Air Max TRK today and it is expected to gain a lot of attention. 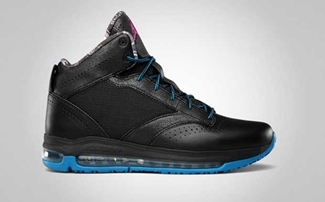 This silhouette from Jordan Brand is now available in Black/Vivid Pink – Anthracite – Imperial Blue, which is a high-top shoe that features a full-length Air Max sole unit that is almost the same as the one used in LeBron James’ latest signature shoe. If you are looking for a fresh look without sacrificing quality, then you must buy this one immediately!